• The main conclusion of peer reviewed scientific studies state noise from wind turbines is more annoying than noise from most other sources at comparable sound levels. 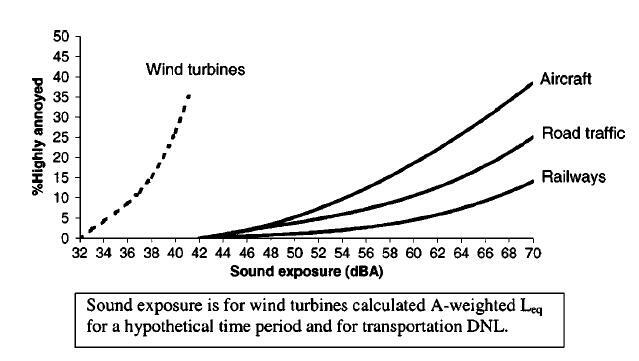 This annoyance is predominately attributed to the unique sound characteristics of wind turbine noise. 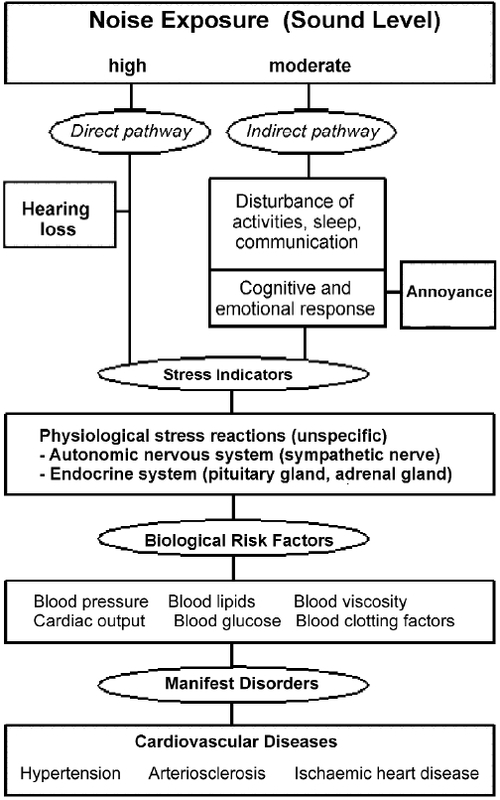 • Noise induced annoyance is an adverse health effect which can result in stress, sleep disturbance and an increased risk of regulation diseases. • Possible symptoms of wind turbine noise induced annoyance include distraction, dizziness, eye strain, fatigue, feeling vibration, headache, insomnia, muscle spasm, nausea, nose bleeds, palpitations, pressure in the ears or head, skin burns, stress, and tension. These symptoms are consistent with international research and media reports documenting subjects exposed to wind turbines who are reporting adverse health effects. • The audible sound from wind turbines, at the levels experienced at typical receptor distances is expected to result in an unacceptable percentage of persons being highly annoyed. • Exposure to wind turbines may also visually induce adverse health effects. It is acknowledged wind turbine shadow flicker may cause annoyance and/or stress. • Wind turbines must be sited to protect humans from the adverse health effect of visually induced annoyance as well as noise induced annoyance.